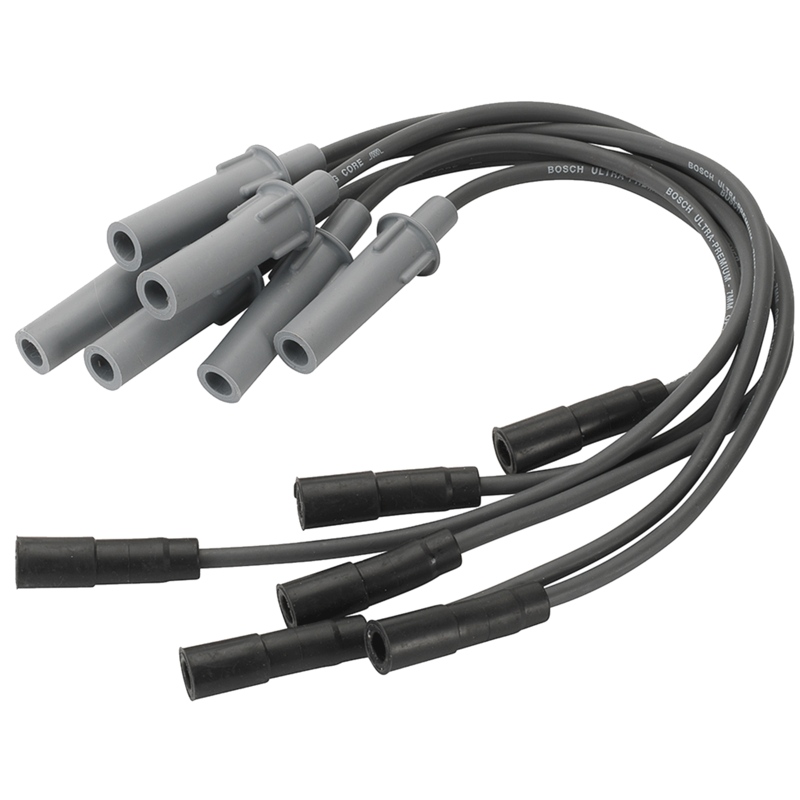 Spark plug wires are the cables that conduct the electric pulses from the distributor cap to the spark plugs. Also called ignition wires. The basic function of a spark plug wire is to conduct spark energy from the ignition source, whether it be a distributor or coil pack, to the spark plugs. The more efficient the wire the more spark energy is transferred to the spark plug. Tempered silicone wire jacketing withstands temperature ranges from -90 degrees F to +500 degrees F and resists oil, chemical and ozone corrosion. Snap-lock terminals are tightly crimped to the silicone wire and provide a secure snap fit at both distributor and spark plug.